Early in the morning on January 4, 1920, Reverend C.D. Thornton stood in front of Mt. Carmel African Methodist Episcopal Church at the base of Fair Street in southwest Atlanta. He was joined by a group of around twenty-four other adults and children, including H.B McIver. Together they marched up Fair Street from the “Bottoms” to establish their church. 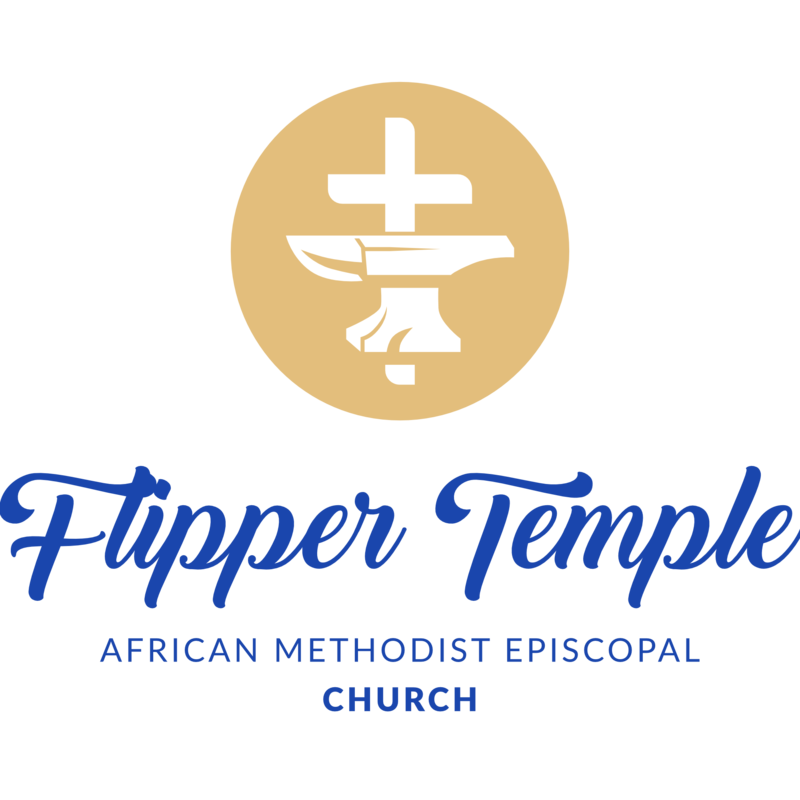 Initially located on Larkin Street, it eventually moved to Fair Street and came to be known as Flipper Temple A.M.E. Church. Reverend Thornton was appointed to Mt Carmel in 1919 by Bishop Joseph Simeon Flipper, Thirty-third Bishop of the A.M.E. Church, and Presiding Bishop of the Sixth Episcopal District comprising the State of Georgia. With the insight of a visionary, Reverend Thornton, shortly after his appointment, sought out a better location for the Church. With the faithful assistance and confidence of his Presiding Elder, Dr. L.A. Townsley, and an initial down-payment of $1,000, a site was purchased in December 1919 through the Graves Real Estate Company. With the establishment of the Church at its new location came the need to form a number of organizations whose aim would be to move the Church on to greater heights. To that end, Mr. H.B. McIver was named Superintendent of the Sunday School, and Mr. John Heard was named Assistant Superintendent. At about the same time, Reverend Thornton appointed both McIver and Heard, along with Ernest Allen and Tobe Peters, as the first Class Leaders. The first choir was comprised of Mrs. Estella Jay, Mrs. Susie Lester, Miss Matilda Jay, Miss Dianne Knight, Mr. George Hunter, Miss Annie Knight, Mrs. Matilda Jay, and Mr. Somerlin. Pianists for the group were Miss Hadley and Mr. Lang. It was announced during the 1922 Annual Conference that Rev. Thornton would be sent on to another field in Georgia and that the Reverend J.G. Brown would assume the pastorate. He continued the organizational pattern begun by Rev Thornton by naming the first stewards and trustees. They were: Messrs. H.B. McIver, John Heard, Bailey Ware, Walter Brown, Simon Leake, and Allen Grier. Rev. Brown organized the first stewardess board with Mrs. Pauline Ware as Chairperson, Mrs. Bessie Mitchell, Assistant Chairperson, and Mesdames Ida Brinkley, Lydia Bryan, Dorothy Roberts, Claudia Walker, and Mrs. Nancy Wells as members. Likewise, the Missionary Society was organized with Mrs. J.G. Brown as President, Mrs. Pauline Ware, Vice President, and Mrs. Dorothy Roberts, Secretary. Just as the first Sunday of 1920 had been a day of rejoicing, the third Saturday night in March 1925 was one of sadness for the Flipper Temple family. It was on that date that the Church was completely destroyed by fire. Although grieved because of the loss of their church building, the faithful members soon began to worship in the parsonage which was adjacent to the Church, and their Christian journey continued. A setback like the fire posed unexpected challenges for such a small congregation, and progress after the fire seemed to take a long time. But with faith and determination, the congregation was soon able to return to the sanctuary for worship services. Rev. Brown was transferred on the Third Sunday of June 1927, and the Reverend J.F. Moses was named the new Flipper Temple pastor. Church membership increased at such a rapid pace under Rev. Moses’ leadership that it became clear that the existing Church building soon would be inadequate for the growing congregation. Renovations to the structure were made to accommodate the Church’s physical needs, and Rev. Moses is credited with reducing the Church’s indebtedness and establishing what was probably its first bank account with First National Bank of Georgia. During his tenure as many as fifty-three organizations existed in the Church. At the Annual Conference of 1932, Reverend Moses was appointed Presiding Elder of the South Atlanta District and the Reverend H.M. Parker was appointed to lead the Church. He organized the Progressive Choir, Junior Steward and Trustee Boards, and the Parker Junior Club. He remained until 1938. It was then that the Reverend T. David Norris was transferred to Flipper Temple from the Macon Conference. Rev. Norris succeeded in retiring the Church’s debt and burning the mortgage after only eighteen months. A new site was purchased from the Graves Company with a $600.00 down payment on the sixteen hundred dollar plot of land. On the second Sunday in March 1940, Bishop William A. Fountain, members and friends witnessed the ground breaking for a new church building. It was with the guidance and leadership of Reverend Norris that the church was able to establish a building fund for the Greater Flipper Temple A.M.E. Church. During the General Conference in Philadelphia, May 1944, Reverend Norris was elected to the editorship of the Christian Recorder. The members of Flipper Temple had long recognized his ability as a writer and they were elated to know that their pastor would be elevated to the rank of a general officer of the A.M.E. Church. On the third Sunday in May 1944, Reverend William L. Brown came to the Flipper Temple pastorate. A renowned church builder, Rev. Brown accepted the Flipper Temple appointment with the understanding that he was to build a church. He faced some opposition from within the congregation, but because of his strong and bold leadership, construction on the present building was begun, and Rev. Brown is credited with increasing Church membership significantly. Rev. Brown was succeeded in 1951 by the Reverend L.G. Long who had been transferred to Atlanta from Alabama. He was labeled “Preacher of his Time” due to his spirit-filled pulpit demeanor. He was in great demand as a preacher and traveled extensively throughout the United States. Bishops, presiding elders, pastors, and lay members alike were honored to have this Man of God preach the Word during any special event. Flipper Temple continued to grow under his leadership. The Reverend Reuben T. Bussey followed Rev. Long in December 1959 after having been transferred to Atlanta from a prominent church in Macon. He came to Flipper Temple with the reputation of one who always finished the task at hand. His work at Flipper Temple added to that reputation because he left the Church on sound financial grounding and with a completed edifice. He was assigned to Atlanta’s Big Bethel A.M.E. Church in June 1964 after having overseen the establishment of the Cathedral Choir and the Art Guild. Following eight successful years as pastor in Athens, GA, The Reverend Julius C. Williams came to Flipper Temple on the Second Sunday in June 1964. He arrived with the mandate to renovate and complete the construction project, and his personal desire to build an educational complex. Not only was he successful in these endeavors, he contributed to the Church’s well-being and stabilization in countless other ways, including the installation of the Church elevator. It was under Rev. Williams’ leadership that the Bell Choir was established, and Flipper Temple became the first A.M.E. church in Atlanta to use acolytes during the worship service. His successes are evident to all those who today work and worship in the Flipper Temple complex. Rev. Williams entered into Eternal Rest in 1988, and Bishop Ernest L. Hickman came to Flipper Temple to finish his unexpired term. His task, to bring solace to a grieving congregation, was enormous. After beginning the healing process and offering encouragement, Bishop Hickman stepped aside and passed the torch onto Elder L.J. Jones who did much to restore the congregation’s spirit. He was followed in the pastorate by the Reverend Benjamin Gay. Rev. Gay, in his kind and gentle manner, and with wisdom and knowledge, added greatly to the development of the Church. He reorganized the choirs and class leaders, and he oversaw the publication of two Church directories. He led the congregation in the purchase of real estate for a parking lot, a bus, a new marquee, and office equipment. He posted identifying signs on the education building, and led efforts to restore the stained glass windows. Monthly official board meetings were established under Rev. Gay’s leadership, and programs for feeding hungry people were initiated. The Reverend Thomas L. Bess came to Flipper temple in February 1991 and, with great enthusiasm, continued the legacy begun in 1919. Assuming the pastorate at a time when the congregation was still adjusting to the loss of a beloved leader, Rev. Bess approached the pastorate with sensitivity, understanding and the ability to lead. Perhaps most significant among his contributions was his influence among the youth of the church. He stressed academic achievement and scholarship as a means for young people to reach their goals in life. Scholarships for those seeking a higher education, regardless of their area of concentration, have now become the norm at Flipper Temple. During his tenure, Rev. Bess oversaw the establishment of the Thomas L. Bess Gospel Choir. Recognized throughout Atlanta as one of the area’s most talented musical aggregations, the group reflects the vitality and commitment that exemplified Rev. Bess’ role in the Church and the community at large. When Rev. Bess was called to another charge in the city, Flipper Temple was blessed with the appointment of Reverend C. Edward Wells Sr. as pastor in June 1997. He was Flipper Temple’s fourteenth pastor and proved to be a strong and forceful preacher and leader who strove for excellence in all that he did. During his administration a Saturday Pre-Communion Prayer Breakfast/Love Feast preceding each First Sunday was re-established, and the Class Leaders were reorganized. He initiated the Birth Month Clubs, Community/Neighbor Day, and Friends and Family Day, while working to modernize the Church by orchestrating the renovation of the office complex and installing an updated audio-visual system in the sanctuary. Once again, and unfortunately, members of the congregation were saddened by the loss of their leader when, on February 19, 2004, Rev. Wells was called to his reward. Greatly missed, Rev. Wells is fondly remembered as one who set the Church on a new course of worship, spirituality, stewardship, and community service. Following Rev. Wells’ untimely death, we were happy to learn that Presiding Elder Charlie Tatmon would serve on an interim basis until a permanent pastor could be named. During this unexpected transition period, Presiding Elder Tatmon proved himself to be the calming and reassuring presence that the congregation needed. God’s people always seem to be able to endure weeping for a night, knowing that joy will come in the morning. Such was the case when the Reverend Gregory Vaughn Eason, Sr. entered the Flipper Temple pulpit as pastor and leader of the flock. In less than six months he, along with his lovely wife Linda and beautiful children, Gregory Jr. and Carmen, were able to breathe new spiritual life into worship, and a sense of Church Family among the congregation. Rev. Eason demonstrated through his powerful sermons, gentle manner and a clear vision that Flipper was, indeed, a church on the move. In December 2005, the Flipper congregation was stunned to learn that Rev. Eason was to be appointed pastor of Big Bethel A.M.E. Church. Once again, we wondered what the future would hold for the church family. Flipper Temple began 2006 with Rev. Augusta H. Hall, Jr. as the newly appointed spiritual leader. A dynamic and charismatic preacher, and an enthusiastic leader with a clear vision for leading the church in the twenty-first century. To that end, he spear-headed the purchase of a new fifteen passenger van while working to reduce church indebtedness. A new parking lot was completed, and renewed effort was launched to reach out to students in the Atlanta University Center, Inc. Members of the congregation expressed great pleasure with the degree to which the ministerial staff invigorated the Bible study program. In June 2016 the Reverend Dr. Gregory Vaughn Eason, Sr. returned once again as Senior Pastor of Flipper Temple AME Church. Dr. Eason is focused on the future of the church with our "Growth and Development Vision". Focusing on: Radical Hospitality, Passionate Worship, Intentional Faith Development, Risk Taking Mission & Service, Extravagant Generosity, Focused Evangelism and Temple Care. Under Dr. Eason's leadership a Strategic Plan has been developed envisioning Flipper Temple becoming the premier God Centered, People Oriented Temple of Hope in Atlanta.